Skill Development has been at the core of Lean In, in India. Lean In India Corporate Network focuses on helping men and women hone their skills such that we move towards a more equitable work environment. One such skill that women lack is negotiating for themselves be it in any sphere of life. The focus of this workshop is to motivate women to speak up for themselves and emphasize on some practical tricks and tips that can be used while negotiating for better salaries. 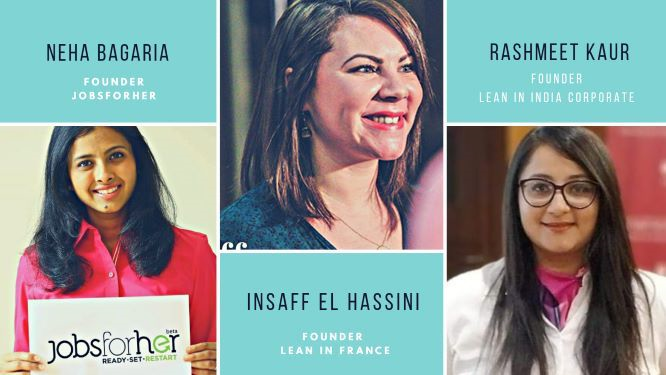 Insaff El Hassini, Founder at Lean In France is famous for going around France and help women negotiate. On 16th March 2019, she will be in India curating this workshop for us! The workshop would last 3 hours, followed by a fireside chat between Neha Bagaria, Founder JobsForHer, Insaff and Rashmeet, Founder, Lean In France and Lean In India Corporate. JobsForHer is known for helping women get back into workforce in India. This event curated jointly by JobsForHer and Lean In, in India as a step towards collaboratively eliminating the gender pay Gap in India.